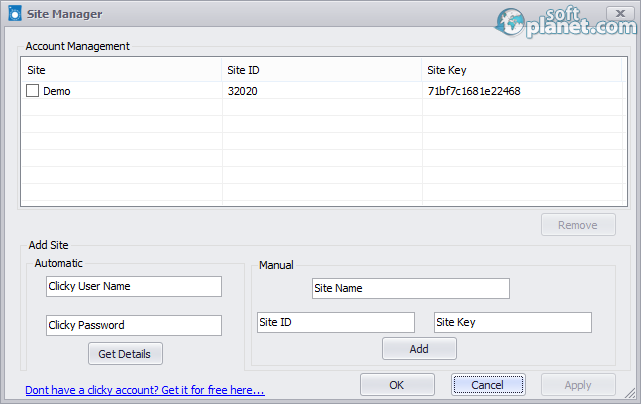 SoftPlanet makes it possible for everyone to get free Clicky Panel download directly from our servers. There is no registration needed for downloading. Clicky Panel v2.01 is a comprehensive software, designed to be the ultimate windows dashboard for Clicky Web Analytics. 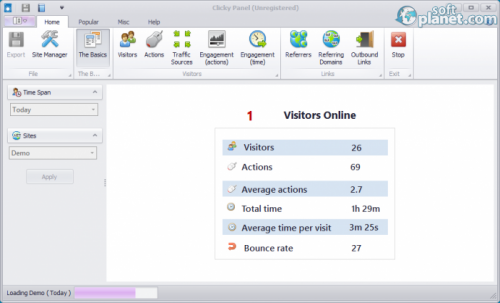 It enables you to perform full analysis of your traffic right from your desktop in a simple manner. Clicky Panel is some kind of a dashboard, which can display data gathered by Clicky Analytics. Clicky Panel v2.01 enables you to preview and analyze your site statistics from today, yesterday, last 7 days ,last 14 days and last 30 days simultaneously. This is possible thanks to its tabbed interface. In order to get relevant data all the time, you can set the app to update your site statistics in particular time interval. 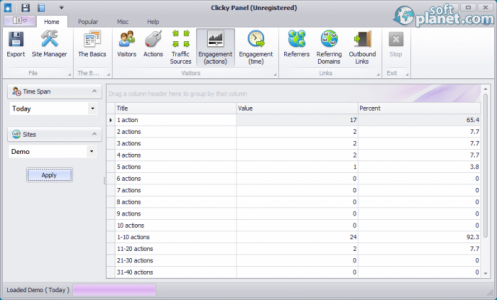 Clicky Panel 2 is probably the best desktop client for Clicky Web Analytics. If you run a web site you should definitely need to download and try this app. Feel free to share your observations regarding Clicky Panel. Our security scan shows that Clicky Panel is clean from viruses. The current version of Clicky Panel has been scanned by our system, which contains 46 different anti-virus algorithms. That ensures that Clicky Panel 2.01 is 100% safe for your computer.